This is Peace. 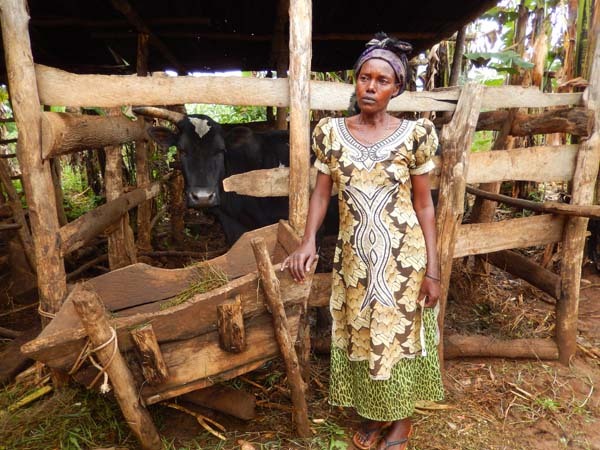 She lives in a packed-earth home in Kashunika Village, Nyagatare District, in the far northeastern corner of Rwanda*…. … and these are some of Peace’s bananas. They’re important. These bananas have given her new hope. A while back, Peace was ill with a condition that cost her both time and money. She used to have a goat, but she had to sell it to pay her bills. Peace has recovered now—she has the strength to work again, which is a good thing. 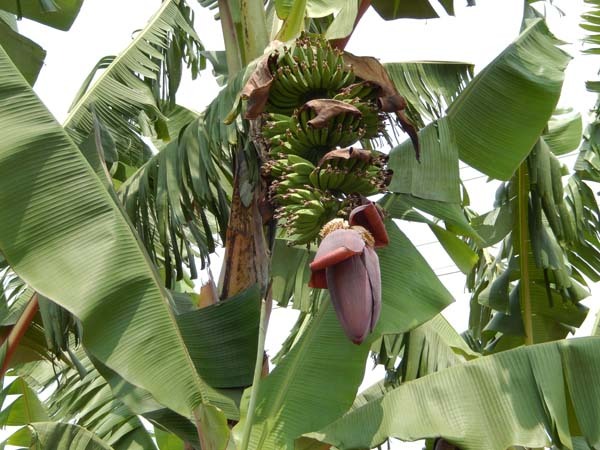 Her neighbor gave her a banana tree, which she planted in the small yard surrounding her home. And then she planted more. And more—until her whole yard filled with bananas, which she eats every day. Peace says life is improving; she can care for herself. But she could still use another goat. This is Jackline. 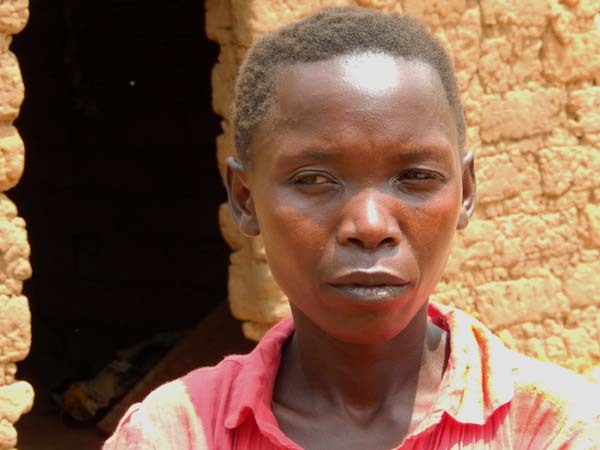 She lives in eastern Rwanda in a village called Ubwiza. She and her husband, Gakoza, belong to a local farmers co-op, growing maize and beans for their family and for sale. Jackline also has a project of her own. That’s her, below, with her cow. Jackline is part of a community health program that allows neighbors to keep tabs on villagers’ health (and refer ailing neighbors to a clinic if necessary). The program also helps the needy—often widows—feed themselves and their families. Jackline received this cow from a neighbor. The cow had a calf, and now it’s Jackline’s turn to pass it on to another neighbor. Each adult cow produces milk for the family, and sometimes a surplus for sale. One by one, these women are helping each other secure a future free of worry about food. Sunday is International Women’s Day, which is why I’m telling you these things. This year’s theme is “Make it Happen.” To me, Peace and Jackline represent so many of the women I have met around the world: strong women who grow their own food. Diligent women who feed their own families. Courageous women who help each other survive. And unwavering women who struggle through the hard times to do what must be done. To make it happen. Women produce more than half the world’s food. They are “the backbone of rural societies,” according to Kanayo F. Nwanze, president of the International Fund for Agricultural Development (IFAD). 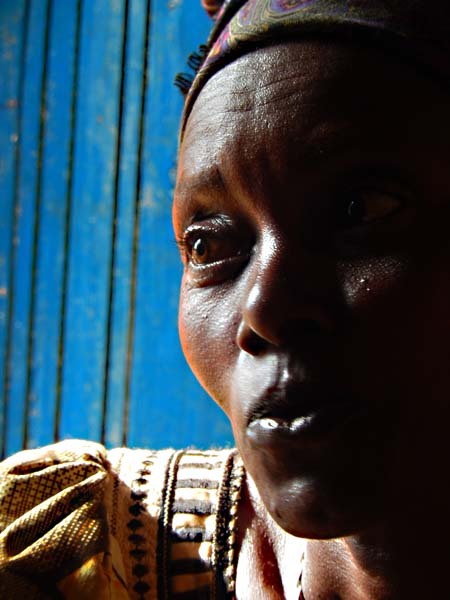 Women are also critical to solving the problems that impoverished families face. Yet, compared with men, women have far less access to everything they need in order to grow and thrive—education, health care, business skills and benefits, technologies, land rights, equality. This reality has a profound effect on global hunger. According to the World Food Programme, if women farmers had the same access to resources as men, the number of hungry people in the world could drop by 150 million. 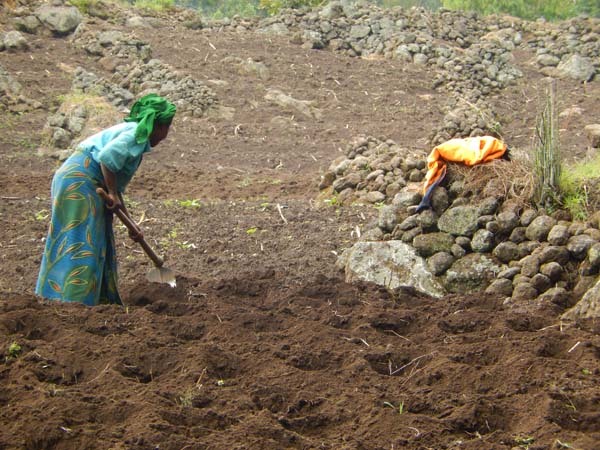 A woman hoes her potato field along the highway leading to Musanze and Volcanoes National Park in Rwanda. *And speaking of women, huge kudos and thanks to the International Women’s Media Foundation for making this reporting trip to Rwanda possible.